Industrial jobs often pay well, but they can also be extremely dangerous for employees and site visitors. Workers at warehouses, drilling sites and factories face serious risks, especially when other parties act in a negligent manner. 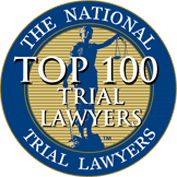 The lawyers of Wagner & Wagner Attorneys at Law help industrial accident victims through the most challenging times in their lives. 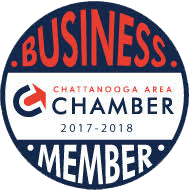 Our experienced Chattanooga industrial accident attorneys work hard to investigate the details of your accident and seek appropriate compensation, through workers’ compensation benefits or a personal injury claim. We pride ourselves on providing out clients with reliable representation they can trust. These examples of industrial accidents underscore the dangerous nature of many industrial workplaces. The Occupational Health and Safety Administration (OSHA) issues recommendations and establishes regulations that industrial employers are expected to follow for the protection of workers. In spite of these guidelines and implementation of well-known industrial standards, accidents still happen — and industrial workers are often seriously injured or die in the course of their duties. After an industrial accident, you may already know that you are most likely eligible for workers’ compensation benefits. Our professional Chattanooga personal injury lawyers help get your claim underway promptly. We are with you through every step of the process, so you can secure the medical care and other benefits that you are entitled to receive. A product manufacturer. Industrial workers often utilize various tools and machines to complete their work duties. If any of these items are found to be defective, the product designer, manufacturer or retailer may be financially accountable for resulting injuries. A subcontractor. Multiple subcontractors often work in an Industrial work setting. Each of these parties have a duty to abide by established safety guidelines and standards. If any of them fail to meet this duty, serious injuries may result, including burns, falls or back injuries. A property owner. The owner of the industrial worksite may be held financially responsible for injuries occurring on their premises. The attorneys of Wagner & Wagner help you determine whether a third-party liability claim is viable in your case. In fatal accidents, we are prepared to bring a wrongful death claim against a negligent third party on behalf of surviving family members. Whether you have personal injury claim or solely a workers’ compensation claim, our experienced Chattanooga industrial accident lawyershelp you obtain maximum available benefits after suffering a serious injury on the job in an industrial setting. At Wagner & Wagner Attorneys at Law, our lawyers have been proud members of this community for decades. 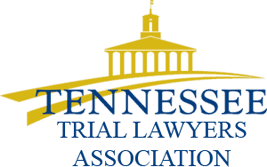 We pride ourselves on providing quality legal representation to the communities of Chattanooga and Cleveland, TN, in North Georgia, and all the surrounding counties. Call us today at 423.799.3532 or complete our contact form for a free consultation.